If you weren’t aware previously then a VPN can open up a whole new world when it comes to TV services and streaming. Whether you’re travelling and want to access TV services from back home or you just want to expand your horizons when it comes to online entertainment then a VPN is the one-stop solution to all your TV needs. With a VPN you can quickly and simply connect to another country and rather than face the geo-block messages that adorn most online entertainment sites you’ll be able to access them freely and stream the content you want from any country to your location with ease. Streaming TV services and video content requires a powerful and fast VPN service and not all are suitable for the job, in fact even though most are priced the same the experience you’re likely to get with one provider can vastly differ to the experience you have with another. To save you a headache and the possible loss of money signing up to many different VPN providers I’ve been testing the Best VPN for TV Services to see who gives you the best deal for your money. If you want to access the biggest range of TV services then IPVanish is the best for the job. One of the main reasons they’re most suitable is due to the large range of countries they have available to connect to. With over 60 countries available in every major entertainment region you’re able to access the most TV services. It’s possible to access a range of TV services such as BBC iPlayer, ITV Player, Sky Go, BT Sport and more from the UK. Hulu, HBO Go, NBC and others from the US and a selection of other services from around the world including SBS from Australia, Hotstar and Starsports from India and even services like MatchTV from Russia. As all the major entertainment countries are available in the English, French and Spanish world you have access to a wide selection of content. Unlike some other providers, most of the major TV services work with IPVanish which is a bonus as often you can find some VPN providers are blocked from accessing certain services. IPVanish is also available on all major systems including Windows, Mac, Android and iOS so you can access both TV service websites and also unblock the apps if you have them installed on your phone or tablet. At just $6.49 per month, it won’t break the bank either. ExpressVPN makes a great choice VPN provider for TV services mainly due to their extensive network. With servers in over 78 countries and over 100 different cities it’s one of the best providers for accessing worldwide services. While most providers cover the usual locations like the US, UK, Canada and Australia many forget the smaller countries or lesser thought of ones. If you’re from an overlooked country then it’s possible ExpressVPN will have you covered in their choice of 78. This will allow you to watch TV services from nearly every region and give you access to an unlimited amount of streaming content. ExpressVPN does work with popular streaming services from the US such as Hulu and HBO Go and with UK ones like BBC iPlayer and ITV Player. Not all UK servers work with iPlayer so you may have to try one or two before finding one that works. My favourite feature about ExpressVPN is their 30-day money back guarantee meaning you can test the service regularly over a long period to see how they perform and if they’re not to your liking then you can get a full refund. ExpressVPN isn’t the fastest provider and in testing I found IPVanish to give a more reliable streaming experience. However, their increased server location choice does somewhat make up for this. VyprVPN again is one of the larger VPN providers which means they cover a greater range of countries expanding the choice you have when it comes to streaming services. Over 50 different countries are available to connect to which gives you good scope for accessing the major TV services from around the world. One of the best features is they have over 200,000 different IP Addresses available so it makes it difficult for services to block VyprVPN from accessing. However, saying that there are some services that don’t work when using VyprVPN including BBC iPlayer and Sky Go from the UK so you may want to consider this before signing up. The great news is they offer a 3-day free trial without needing payment. You will have to enter your payment details to take advantage but as long as you cancel before the 3 days are up then you won’t be charged. The free trial will allow you to test the service with the TV services you want to watch to see if they work. If they do then you don’t need to do anything more and you’ll be charged after the 3 day trial expires. If they don’t work then simply cancel and you won’t have lost anything. VyprVPN works across PC, Mac, Android and iOS and has some of the best looking software and apps I’ve seen. They’re incredibly easy to use and will be great if you’re a beginner and worried about complicated set-up. HideMyAss isn’t technically a favourite of privacy advocates due to them being located in the UK and needing to following UK law. However for TV services they’re probably one of the best out there. The reason being is they have access to over 190 different countries which means it’s almost impossible to find a service they don’t work with. Unfortunately being one of the largest VPN providers in the world it’s often the case that their service gets blocked at major streaming services because the mass of users all using the same VPN server. HideMyAss are similar to ExpressVPN in that they offer a 30-day money back guarantee so it’s worth testing the service with the kinds of TV services you want to watch to ensure they’re working first. If not then you can simply get a refund – nothing lost. In testing I found both IPVanish and ExpressVPN to be faster than HideMyAss and while they’ll certainly be suitable for watching HD content from most locations if you’re a long way away from the TV services you’re accessing or you wish to use 4K then it might be best to stick with one of the earlier providers. StrongVPN round up my selection of VPN providers suitable for using with TV services although they’re only going to be useful for a selection of TV services. They offer servers in 21 countries which means they’re not going to be suitable for every TV service from around the world. You should check their server list before signing up to make sure it offers a server in the country of the TV service you wish to watch. The US, UK, Canada and parts of Europe and Asia are covered but with no Australian server they won’t be suitable for SBS, iView or any other Australian TV station. If you take an annual package they are one of the cheapest providers which is why I’ve included them here and if their locations are suitable for your needs you could make a nice saving. Speeds are favourable and will be good for streaming TV services from around the world if you’re travelling or an expat and with software and apps for Windows, Mac, Android and iOS you won’t have any trouble getting connected. A 5 day trial is on offer which is the shortest of the providers listed here but it should be enough time for you to test the service and see if it’s working for your needs. Finding a suitable VPN provider for TV services can be a time consuming job. If you only want to watch one or two services from a specific country then choosing a provider above that offers a server in that country will be ideal. 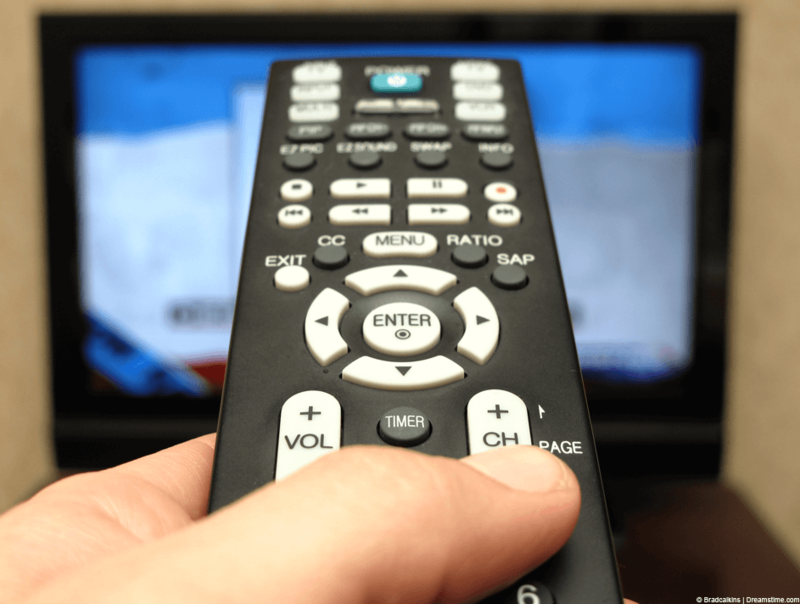 If you want to access multiple TV services from around the world, especially from some of the big entertainment regions like the US, Canada, UK and Australia then you’re better off sticking with an overall good provider with a large server selection. For this reason IPVanish is my Best VPN for TV Services because they offer one of the biggest ranges of servers giving you the greatest access to streaming media plus they also offer some of the fastest speeds in the VPN industry allowing you to stream all qualities from HD to 4k without buffering or stuttering. At just $6.49 a month when taking an annual package they’re also competitively priced so it’s worth checking them out. Take a look at all the available options above as you may find certain features of one service are more suitable for you. Overall they’re all good services and suitable for a range of TV services, it’s just some are more suitable for a wider range than others. Take a look again at the table below to help you make a decision.